Yesterday, I passed on a report about an SUV hitting a number of e-bikes on Wenchang bridge at 11 am yesterday morning. 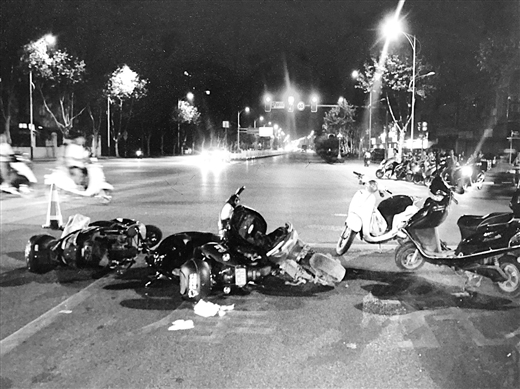 Later in the day, I read in the local rag about an SUV hitting a number of e-bikes in Rongjun Road at 11pm on Saturday evening. Images from both reports indeed show two different events, but there are a number of confusing coincidences. Both incidents happened at 11 o’clock (albeit am and pm) and both involved black Toyota SUVs. It is possible that journalists are confusing the two separate incidents. So, the first incident at 11pm on Saturday (18th) seems to have been a case of drunken driving. The driver hit 8 e-bikes and escaped. However a passer-by followed him to where he abandoned his car and reported its whereabouts to the police, who traced the driver, said to be a 36 year old by the name of Mo, and arrested him at home. The report says he said he had been drinking, but had no recollection of any accident. He was taken into custody, tested for alcohol levels and enquiries are continuing. The second, more serious incident, also involving a black Toyota SUV took place as I described yesterday and the 54 year-old driver, identified only by the surname Huang, was arrested nearby. It is reported that the incident was deliberate and two e-bike riders were killed and 12 others injured at the scene on the bridge. It has also been reported that prior to the attack on the bridge, the SUV driver had already killed his girlfriend, her mother and two other relatives after being spurned. No doubt, I’ll be getting back to this.
. 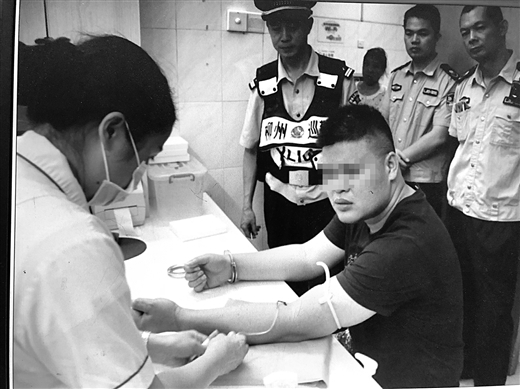 This entry was posted on Tuesday, August 21st, 2018 at 5:28 pm	and is filed under Crime and Punishment, Liuzhou News, Traffic Traumas. You can follow any responses to this entry through the RSS 2.0 feed. Both comments and pings are currently closed.